PUBG enthusiast Samuel Willetts rounds up the latest news about PlayerUnknown Battlegrounds, as they announce their long campaign mode. There seems to be no stopping the PUBG Corp. in its pursuit to have PlayerUnknown’s Battlegrounds remain at the forefront of the battle royale genre, despite steadily declining player counts. 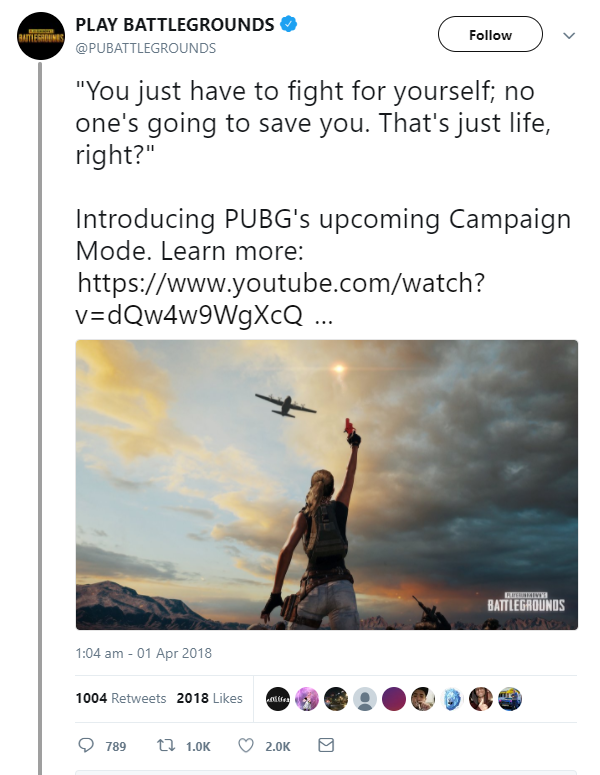 Not long after the release of its wildly successful and surprisingly good mobile version of Battlegrounds (Android, iOS), the developers have today teased the surprise upcoming addition of a Campaign Mode via the game’s official Twitter page. Whilst not much can be drawn from this trailer, other than the reference to the film and the game genre’s namesake Battle Royale through PlayerUnknown’s dialogue, Bluehole Inc promises more details in the near future.